Sharon and Wes Puckett live in the "perfect climate" mountains of Southern Costa Rica. "Our total expenses have been about $1,700 a month, which includes our rent, utilities, you name it… We have the best of everything, and we’re just minutes from the beach." "We love Costa Rica so much I’m excited to say we just bought a three-bedroom home with a huge pool. Now that we’ll no longer pay rent, our expenses should be close to $1,200 a month—can you believe it? We are truly living the ‘Pura Vida’ life." "It was a good time for a new adventure," say Sharon and Wes Puckett who found themselves at a fork in the road back in 2014. Living in Colorado, Sharon says, "I’d been working for over 30 years as a library employee and Wes had been retired for over a year and was growing weary of the cold weather. We were in good health and we had worked hard and raised our family when our peers were out exploring (we married young)." As they faced retirement and the prospect of living on a fixed income, "We pulled the ripcord on daily life as we knew it, and started our retirement research." Friends had decided to retire to Costa Rica, and Wes and Sharon went with them on a vacation to check it out. "We rented a car and traveled through the beautiful countryside to small, out-of-the-way places in the mountains and visited the Pacific Ocean. Wes and I fell in love with Costa Rica. It had the climate Wes wanted and the mountains I loved. "So we sold our empty nest in Colorado, and everything in it, and set off on our retirement journey." They were certain they were making the right decision, but they were somewhat unprepared for the reaction from family and friends. "How can two people, who have lived their entire lives in Colorado, move so far away?" their friends asked. Today, Wes and Sharon have a ready answer for that. "For the last five years, we’ve felt like we are living in an oasis…away from the real world, yet also so close to it." 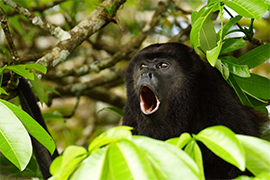 Who needs an alarm clock when you have howler monkeys as neighbors? As Sharon explains, "At dawn I wake to the sounds of toucans and howler monkeys. As I drink my morning coffee, and look out across the yard, the clouds quickly moving towards me, my wild imagination has me thinking this is what heaven looks like…misty clouds surrounding an incredibly beautiful garden paradise; that abounds with small animals, birds, and butterflies. "Yes, sometimes I do pinch myself to make sure that’s it’s real… I truly love it here: the people, the relaxed approach to life, and the spectacular natural beauty." And where in the U.S. these days, she asks, can you enjoy a comfortable retirement (and a million-dollar view) on just $1,200 a month? The last two years, Sharon and Wes say, "Our total living expenses have been approximately $1,700 a month. The rent and utilities for our two-bedroom, two-bath home on three acres of land averages around $490 per month. "Our health insurance (the CAJA national health program) cost for both of us is $101 per month. We own our car outright and have purchased extra full-coverage car insurance for $1,200 a year." "Our retirement to the town of Sarchi, in Costa Rica’s Central Valley, has been the wisest decision we ever made. It’s taken us back to a simpler time. All the distractions of status and politics have faded into a distant past, and the daily pressures of life back home have given way to appreciating the little things." And, Sharon adds, "If we feel the need for some "vitamin sea," we jump in our car and are at the beach within 25 minutes. I feel relaxed after an afternoon in the warm, tropical climate of Playa Dominical with no agenda other than to walk the beach with my husband and enjoy each other’s company. "I can honestly say that we have the best of everything: The beautiful mountain life, yet just minutes from the city or the beach. In our golden years, Wes and I are truly living the Costa Rican ‘pura vida’ life." Don’t Put Your Retirement on Hold. You, Too, Can Live "Pura Vida" in Costa Rica. You may be at a similar fork in the road as Wes and Sharon were in 2014…just a few short years ago. Maybe you’re wondering what the best path is…especially when you’re thinking about retirement. Should you downsize? Should you move to another community where the cost of living is lower? But as a good friend of mine says, "I’ve worked all my life to get to this point…where I don’t have to work the rest of my life. Now, it’s my turn. I’m going to enjoy every minute and do all the things I’ve always wanted to do…whenever and wherever I want to do them." This is the year to check out Costa Rica: Where retirement dreams come true. Maybe you’ve been to Costa Rica? If so, you know what a strikingly beautiful country it is… Nearly 25% the country is national park land and protected areas. There are plenty of beaches, too, on both Pacific and Caribbean Coasts. And the country’s Central Valley offers a nearly perfect climate…never too hot and never too cold. For years, it’s been one of the most popular tourist destinations for North Americans. Retirees, too, have taken note of all this country has to offer. Costa Rica is close, friendly, easy…and so very affordable. Costa Ricans are proud of their country and will welcome you with open arms. If you’ve been there, you know how friendly the Ticos are. That’s how Costa Ricans refer to themselves. Ticos welcome everyone with open arms. And you know how close Costa Rica is to the U.S. and Canada… You can quickly and easily get a direct flight (less than three hours from Miami) into two international airports in Costa Rica. Top-quality affordable healthcare—In the just-released 2019 Bloomberg Global Health study of the world’s healthiest countries, Costa Rica ranks as the healthiest country in Central America…ranking ahead of the U.S. And when it comes to overall healthcare efficiency, says Bloomberg, Costa Rica ranks well ahead of the U.S. And the really good news: You can qualify for the CAJA national health system that provides comprehensive coverage, no matter your age. The most stable democracy in Latin America—No other country has the peaceful history and democratic stability of Costa Rica (and no army)! All the comforts of home—Modern shopping malls and world-class hospitals. Reliable high-speed Internet is available just about everywhere. When it comes to buying real estate, foreigners in Costa Rica have the same rights as Costa Rican citizens—and all you need is a passport; no resident visa is required to buy property. We’ll cover all the details of the property purchasing process at the Fast Track Costa Rica Conference. Low, low taxes—You’ll pay zero income taxes on foreign-earned income. If you buy a home in Costa Rica, your annual property taxes will be little more than $200-$500 in most cases. And there’s no capital gains tax! A built-in community of English-speaking locals and expats—it’s said that more than 11,000 U.S. retirees currently live in Costa Rica. Adult literacy is practically 100%. Thanks to the well-educated, well-informed workforce, many international companies have offices, factories, and call centers here—contributing to the strong and stable economy. It’s no wonder the happiest people in the world live in Costa Rica. Sociologists from the Happy Planet Index have said Costa Ricans "report the highest life satisfaction and have the second-highest average life expectancy of the Americas (second only to Canada)." What does all this mean? Costa Rica offers one of the world’s lowest poverty indexes, highest literacy rates, happiest people, and therefore a high standard of living, All this, and you’ll find a surprisingly low cost of living. Come away with all the knowledge and contacts necessary to make your move with confidence. Costa Rica offers many benefits, it’s true. But what does all this mean to you? If you’re concerned about your financial future or your health…wondering if you’ll be able to have the kind of life you dream about…or if you can afford to retire at all. To that, I say: thousands of retirees from the world over have made their dreams come true in Costa Rica. And you can, too. a place to grow old." Tired of bad weather, high costs, and the lack of respect for older people in the U.S., Paul and Gloria Yeatman moved from Baltimore to a cozy home on a tropical mountainside in Costa Rica’s Central Valley…but just 45 minutes from the beach. They wanted fun and adventure in their retirement. "And no more snow." Their goal, they say, was to live better than ever… but on $2,000 a month or less. "We’re doing exactly that," they say, "and we love our life here." You can quit working and start living. Or even start a profitable new venture…something you’re passionate about and have dreamed of doing. When you join us at our Fast Track Costa Rica Conference, we’ll show you how. We’ll introduce you to dozens of others who have gone before you. They’ll share their experiences living in Costa Rica and introduce you to the communities they live in…places you’d likely never visit as a tourist. We’ll also introduce you to dozens of reliable experts…attorneys who can help you with visas, property purchase and rental contracts…healthcare and insurance professionals who can explain all your many healthcare options…real estate experts…moving and shipping resources…tax experts…veterinarians who can reassure you about pet care and many others. They’ll help streamline your move to Costa Rica and save you lots of time and money in the long run. I’m Jackie Flynn, publisher of International Living. 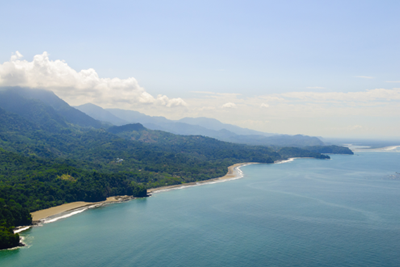 We’re bullish on Costa Rica, as you may know. And the more research we do about it, the more over-the-top bullish we become. Costa Rica just makes sense. It’s the most politically stable country in Latin America, with a long history of peacefulness. Plus, Costa Rica has all those advantages I’ve already told you about. It offers great weather, beautiful beaches, world-class healthcare, and it’s so very affordable for daily living. In a moment I’ll share a typical monthly budget for a couple living in Costa Rica. Most report that they live far better in Costa Rica on about one-third of the costs back home. Some get by—and very comfortably—on budgets of as little as $1,200 to $1,700 a month, as Wes and Sharon Puckett report. It’s easy to do when you don’t need heat or air conditioning and you can easily grow your own or buy local produce for pennies at any number of nearby farmer’s markets. And of course, your healthcare costs will likely be a fraction of what they are now. Once you get our resident visa in Costa Rica you’ll join the CAJA national health program. What you pay depends on your declared income. Most retired couples in Costa Rica report that it costs them, total together, just $50 to $200 a month. As I mentioned, Costa Rica’s Central Valley is where most foreign retirees settle. That’s because of the temperate weather and proximity to the many modern amenities of the capital city of San José, with mega shopping malls and world-class medical care. That’s where you’ll find Ed and Jackie Cusack. Not that long ago, as they were approaching their 60s, it felt as if the winters in Indiana were getting longer and causing more discomfort. They found themselves wondering where and how they were going to spend the next stage of their lives. After traveling off and on to Costa Rica, they decided to escape, once and for all, from the conference calls, emails, and deadlines, and focus more on the joys of simplicity. They decide to take their early retirement benefits from Social Security, and in 2013 they told their employers they’d be trading in their business clothes for shorts and flip-flops. Ed and Jackie Retired Earlier Than They Thought Possible…and They’re the Life of Their Dreams for About $1,100 a Month—Rent Included. "Our household expenses are roughly $770 a month for rent and all utilities," Ed says. "Food expenses are fluid, depending upon how much we purchase from the feria versus the supermarket, but I would day the average month’s food bill is about $250. The only other routine expense would be gas for our vehicle which is roughly $80 per month." ➔ And get this: Amazingly enough, for their CAJA health plan, Ed says, "For the both of us, we pay a total of 25,000 colones a month (roughly $42 US) for full hospital/medical, dental, optical, and prescriptions." Initially they decided to live in Costa Rica’s popular tourist town of Tamarindo, but as they traveled around, they discovered a completely new side to the country. "Don’t get me wrong; with its gold-sand beaches, Tamarindo is a beautiful place, and many expats are very happy there," Ed says. " But the climate is hot and dry, averaging in the 80s F and 90s F all year. Sure, we had pools to swim in, beaches to enjoy, and air conditioning to lounge in. But reality set in when it came time to pay our first electric bill." Today, Ed and Jackie live in the hills above the charming town of Sarchi, about a 40-minute drive from the international airport at Costa Rica’s capital city of San Jose. It’s convenient to get back to the States to visit family and friends, they say. And even though they have a car, Ed says, "We’ve found ourselves using public buses more and more often for trips to the city, rather than driving. 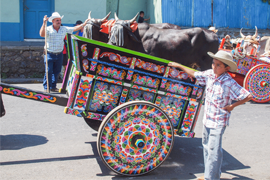 At a cost of about $1.50 for a trip to the capital, San José, the bus saves us the cost of driving, the frustration of dealing with city traffic, and, of course, finding parking." The climate is perfect, they say. Because of the elevation of the town and surrounding areas, the temperatures are temperate and comfortable—no higher than 80 F during the day and in the high 50s F or low 60s F at night. Ed and Jackie Cusack live near the famous Central Valley woodworking town of Sarchi. They’re happy living a simple life surrounded by natural beauty and wildlife. Their four-bedroom, two-and-a half bath home has a small garden and a shared farming field behind the house, "so we can grow our own tomatoes, peppers, broccoli, cauliflower, lettuce, and fennel. We can go into our backyard in the morning to pick fresh oranges and limes for juice, gather avocados and passion fruit from our front yard for afternoon snacks, and microwaving food is a thing of the past." As Ed says, they paid roughly $2,000 a month in the States just for mortgage, insurance, and utilities, "And we saw these expenses drop to $770 a month since moving to Sarchi…which shows just how affordable this region is. We could not dream of retiring in the States on the budget we have now." Today their basic monthly expenses come in at just $1,100—far less than they spent every month back in Indiana. But living more frugally doesn’t mean they have to live with just the bare essentials. One reason their expenses are so low Ed says, is because "we are fortunate to have good health overall, and we haven’t needed to visit doctors often. Now that they have their Costa Rica resident visa, Ed says, "For the both of us, we pay a total of 25,000 colones a month (roughly $42 US) for full hospital/medical, dental, optical, and prescriptions." That’s an amazing bargain and a tremendous savings to a retirement budget. It helps, of course, that Costa Rica’s Central Valley climate is nearly perfect, Ed says. Not too hot and never too cold, he and Jackie can spend lots of time outside. "We tend to brag on social networks about the beauty of our new home in Costa Rica, with its friendly locals, warm climate year-round, and the abundance of flora and fauna that we never got to enjoy in the States. We can enjoy just slowing down to appreciate nature, neighbors, and simplicity." And Just How Affordable is to Buy a Home or Vacation Property in Costa Rica? Despite its popularity, you can find great real estate bargains in Costa Rica—and that’s whether you rent or buy. As anywhere in the world, prices are higher in high-traffic tourist and resort destinations. That’s the rule of supply and demand, after all. But if you relocate to Costa Rica, it’s doubtful you’ll settle in a tourist destination. Most expats, in fact, settle in the Central Valley. There, you’ll find prices extremely affordable. Same with the Lake Arenal area to the north and certain pockets of coastline such as the Southern Zone where the Pucketts live. 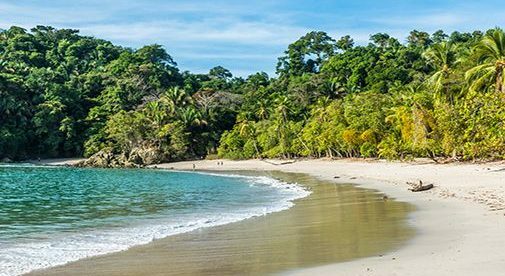 In fact, if the beach is your thing, you’ll be spoiled for choice, as Costa Rica offers more than 1,000 miles of coastline. Know where to look and you’ll find some incredible bargains. Affordable carefree condo living: On the western side of metropolitan San José, in the well-to-do suburb of Escazu, you can pick up a modern new top-floor two-bedroom/two-bath condo with stunning city views and covered parking for just $139,500. In the popular Central Valley town of Grecia, a brand-new contemporary-style two-bedroom two-bath home—with a nice enclosed yard and upscale finishings like granite countertops and top of the line fixtures in a community with a pool, gym, tennis courts, dog park, and more is selling for just $120,000. In popular Atenas—just a half hour San José’s international airport—a five-bedroom, five-bath home with a pool on nearly an acre of beautifully landscaped land—an established an income-producing B&B—is selling for just $245,000. Plus incredibly low property taxes—no more than $100 to $200 a year in most cases. And there’s no capital gains tax! At our Fast Track Costa Rica Conference this June, we’ll pinpoint the areas where you’ll find the best property bargains and profit opportunities. The very best advice for any potential expat anywhere is "Rent before you buy." Fortunately, Costa Rica offers a multitude of rental choices. If you budget $600 a month in rent, you’ll find good options for quality living…maybe with a bit left over! Paul and Gloria Yeatman pay $550 a month to rent their 1,000-sq.-ft. two-bedroom apartment in the center of the town of San Ramón in the Central Highlands. Wes and Sharon Puckett have been paying rent and utilities of just $490 a month for their two-bedroom, two-bath fully furnished home in southern Costa Rica near Dominical. At the upcoming Fast Track Costa Rica Conference we’ll show you exactly where and how to find the country’s best rental bargains. Prefer to live even farther from the city, but still in a temperate climate? Beautiful, affordable Lake Arenal is well worth a look. 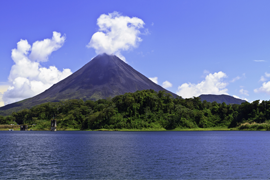 If you love the outdoors…fishing, hiking, boating, and more…you’ll be enchanted by Lake Arenal. Just a three-hour drive north of San Jose, but still in the highlands, the lake area is blessed with a spring-like climate year-round. If you like to fish, this may be the place for you. The 33-square-mile Lake Arenal is known for its Rainbow bass sport fishing. And for windsurfing and sail boarding. You’ll find a vibrant and active expat community here, too, along with a small town atmosphere, a rural feel, and peace and quiet. A small tidy home, within walking distance of the village of San Luis and the lake. You’re surrounded by green space and have partial views of the lake. It’s listed for just $48,000. A fully furnished 3-bedroom, 3-bath home with stunning unobstructed lake views. It comes complete with new appliances, TV, stereo, bar, and more. Watch monkeys play in the trees and enjoy outdoor living from two covered decks, just $159,000. Looking for a business to run? A four-bedroom, three-bathroom home with an awesome volcano view is perfect for a B&B. In fact, it’s already been converted to three fully furnished one-bedroom apartments that regularly rent for the week or month. It can be yours for just $130,000. Check out this spacious 2,200-sq.-ft. four-bedroom, three-bath home—with a private swimming pool— in Herradura, close to the upscale Los Sueños Resort and Marina. The Price? Just $250,000. In popular Flamingo Beach, a gorgeous two-bedroom condo with granite countertops, custom-made cabinetry, stainless steel appliances, and more, including aw-dropping ocean views—and literally just steps to the beach can be yours for just $279,000. If you’re a beach lover…or a real estate investor…there’s an area of Costa Rica that particularly deserves your attention…right now. It’s the southern Pacific coast…called the Costa Ballena (whale coast) for the majestic humpback whales that migrate to the warm waters here each year from December to April. And What About the Caribbean Coast? Costa Rica’s Caribbean Coast is another place that deserves your attention. It’s as beautiful as you might imagine it to be, with warm turquoise waters and white-sand beaches. And it’s far less settled than the Pacific Coast, meaning that opportunities are plenty. You can be sure this is an area we’ll cover when we meet in June. The Costa Ballena is more lushly beautiful, more deeply colorful, and the views from the hillsides overlooking the Pacific Ocean are more strikingly dramatic than anywhere along the more popular Gold Coast to the north. You’ll hear all about it when you join us at the Fast Track Costa Rica Conference. We’ll tell you exactly where to go, who to see, and what kinds of properties make sense if you’d like to buy in this part of the country. If history repeats itself (as we already see happening), now that the new coastal highway is open, property prices here will rise rapidly. "Costa Ballena prices are very low as compared to what you’ll find along the Gold Coast, just a day’s drive to the north," reports Pathfinder International real estate expert Margaret Summerfield. "And the Costa Ballena is far prettier, in my opinion." 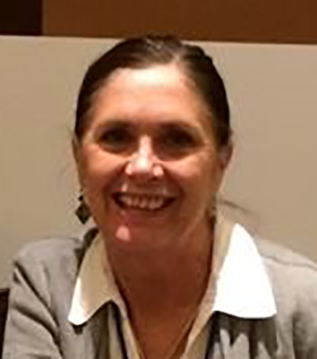 * Margaret Summerfield will be at the Fast Track Costa Rica Conference with all the details about the Costa Ballena and more. In Ojochal, the town that’s most quickly growing along this coast, you’ll find a private river-view estate on 2.5 acres of land. The 1,800-sq.-ft. two-bedroom, two-and-a-half bath home has gorgeous wood accents throughout and hardwood floors in the master bedroom. Doors open to the terrace and pool. There’s plenty of room to add on to the existing home or even build some guest casitas. The asking price for this gem is just $198,000. The Costa Ballena is dramatically pretty…and oh-so affordable. In California, a comparable home would cost you 10, maybe 20 times more. But why live in California with its high taxes, pollution problems and skyrocketing cost of living, when you can live in beautiful, pristine, affordable Costa Rica? Yes, you can buy Costa Rica real estate in your IRA. Costa Rica attorneys Roger Petersen and Rick Philps have helped others do this successfully, and they can help you, too. You’ll meet them at the conference and have plenty of time to speak with them one-on-one about your personal situation. When you join us this coming June in San Jose for International Living’s Fast Track Costa Rica Conference, you’ll hear from all our best Costa Rica resources…attorneys, doctors, insurance professionals, construction and real estate experts… who can help you better understand the many benefits and options Costa Rica offers. They will tell you where to go to find the best quality, the best deals and values…on everything from real estate to moving companies to doctors, spas, restaurants, and more. 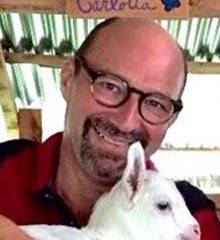 You’ll meet expats like John Michael Arthur—who goes by "Mike." After years of research, he moved to Costa Rica in 2014. There, he says, he loves his new life as a gentleman farmer. As he explains, he and his spouse, Michael "wanted some land to spread out on and to be able to garden and raise animals and be surrounded by wildlife." So, after numerous trips to Costa Rica over a three-year period, they found their perfect spot near the small country town of Cachí in the Orosi Valley that’s part of Costa Rica’s highland Central Valley area. "Living in this part of Costa Rica feels very much like a return to the lifestyle and values of 1950s America," Mike says. "We love that. For example, when we were kids, the milkman came to the house every Monday and Thursday and brought glass jugs of cold, creamy goodness. Guess who comes and honks at our gate every Monday and Thursday—the milkman!" What does Mike love most about life in Costa Rica? "When I was in high school, they made me take one of those silly aptitude tests," he says. "One of the questions was, ‘Would you rather be famous for just one thing, or would you rather have no fame and be adept at many things?’ I knew then what I know still—being a Renaissance man was the way to go. Here, I get to be that man." "Costa Rica has long emphasized the development of democracy and respect for human rights. The country’s political system has steadily developed, maintaining democratic institutions and an orderly, constitutional scheme for government succession. "Several factors have contributed to this trend, including enlightened leadership, comparative prosperity, flexible class lines, educational opportunities that have created a stable middle class, and high social indicators. "Also, because Costa Rica has no armed forces, it has avoided military involvement in political affairs, unlike other countries in the region." At the Fast Track Costa Rica Conference in June, you can be sure Mike will be there to help you out… So will Kathleen Evans, who left the "corporate grind" and moved to Tamarindo in 2013, and Gloria and Paul Yeatman, who live in the Central Valley…and many more, from all areas of the country…all along the Pacific and Caribbean Coasts, the Central Highlands, and Lake Arenal. These are all smart people, like you. And they all say that the decision to move to Costa Rica was one of the best they’ve ever made. And they have no intentions of ever leaving. Besides everything I’ve already mentioned, Costa Rica has something very important going for it: a strong economy. Of all the countries in Latin America, Costa Rica is the number one tourist destination. Tourism brings in more than $3 billion every year. And remember, this is a country the size of the state of West Virginia. Plus, Costa Rica has attracted one of the highest levels of foreign direct investment per capita in Latin America. As I said earlier, many multi-national companies have located here. And unlike most of Latin America, Costa Rica is not highly dependent on remittances—they only represent about 2% of GDP. As a sign of its prosperity, remember: no other Central American country has more than one international airport. Little Costa Rica has two…with a third in the plans. Importantly, according to U.S. government statistics, Costa Rica enjoys the region’s highest standard of living and a low unemployment rate. Now… What About the Daily Cost of Living? Just How Affordable is Costa Rica? How much does it cost to live in Costa Rica? The short answer is: whatever you want…within reason, of course. You can spend just about as much or as little as you want. As Jason Holland, Roving Latin American editor for IL says, if you focus on what’s important you can live very well in Costa Rica for very little money. He also says that you don’t have to “keep up with the Joneses” here. "Your ‘needs’ will become simpler here," says Jason. "You can live comfortably with a lot less stuff." For sure you can live like a rock star in Costa Rica on $4,000 per month. Most expats, though, report they live happily and without sacrifices on a monthly budget of $1,700 to $2,500. Sometimes even less. For example, as I’ve mentioned, Ed and Jackie Cusack’s budget in Sarchí in the Central Valley is just $1,100 a month. Paul and Gloria Yeatman, in nearby San Ramon, live well on a monthly budget of about $1,800. The rent for their two-bedroom apartment in the center of town is $550. They have high-speed internet, utilities, weekly house cleaning… They spend money on food, entertainment, and transportation, as we all do. They spend just $60 (total for both of them) for the CAJA national health program and another $80 for medications not covered. But it’s not just the cost savings you should consider…it’s the overall improvement in your quality of life. We’ve listed a range here, because some of these expenses depend on your tastes, habits and consumption. And note that this sample budget doesn’t include groceries or entertainment, but a good rule of thumb is to budget about half of what you spend at home. Your actual budget may be even less—some landlords include internet and other expenses like lawn care, water and trash pick-up. And, of course, if you pay outright for your home you won’t have any housing costs, as Wes and Sharon Puckett are looking forward to. You can see how affordable it is to live in Costa Rica. Choose to live in the Central Valley where you won’t need heat or air conditioning and your monthly expenses will be very low, indeed. A few years ago, an expat who lives near Lake Arenal got an infection in his toe. He was admitted at the hospital in Liberia, 90 minutes away and spent five days there where he says he received "excellent care." In Costa Rica, even the lowest budget affords a very good lifestyle. You’ll enjoy guilt-free consumption at very low prices. For instance, splurge on a salon haircut, manicure or pedicure ($5-$10 each), pay a maid to clean your house ($14 a day) or a gardener to do your lawn work ($4.50 an hour). Remember, thanks to Costa Rica’s government healthcare program, your healthcare costs will be negligible. But should you desire elective procedures, you’ll pay about one-third what you will in the States. A facelift, for instance, averages $2,800 to $3,200 in Costa Rica, compared to $7,000 to $9,000 or more in the United States. A visit to a dentist will set you back about $50, including X-rays, and a teeth-cleaning will run about $40. Hands down, Costa Rica’s universal healthcare system is one of the best in Latin America and, indeed, among the best in the world. Once you obtain legal residency in Costa Rica, foreigners are eligible (required, in fact) to participate in Costa Rica’s national healthcare system, the CAJA. For this coverage, a retired couple might expect to pay $50-$200 a month total for the two of them (a percentage of your income). It’s affiliated with ten major public hospitals in the country and many small clinics in almost every community. You can also buy private insurance—most plans cover dental work, optometry, and cosmetic surgery in the case of an accident. Prescription drugs, certain medical exams, sick visits and hospitalization are covered at 70% cost, and surgeon and anesthesiologist costs are covered at full cost. Private medical insurance in Costa Rica currently costs about $200-$300 a month per person, depending on age, gender and other factors. And don’t worry about language issues—many doctors speak English and have received training in Europe, Canada, or the U.S.
You’ll save, too, on the little things that matter the most, but can add up. Like movie tickets for $5 or less…four avocados for just $2…a whole pineapple for $1…bus rides from San José to Escazu for just 75 cents or to Jacó Beach (60 miles) for little more than $4. But it’s not just the potential cost savings that you should consider…it’s the overall improvement in your quality of life. More time and more money to spend as you like…no taxes, no inflated prices, no more worries about outliving your retirement nest egg. Are you ready to learn more about all that Costa Rica has to offer? At the Fast Track Costa Rica Conference this June we’ll show you exactly how to live this laid-back luxurious lifestyle…no matter how small your budget. If you want to salvage your retirement dreams, retire even earlier than you thought you could, or just live a more luxurious life than you ever thought possible—then there’s no better opportunity to gain access to so much expertise…in one place, at the same time. People are coming to Costa Rica for various reasons. And we’ve got all the bases covered with all the high-powered local experts you need to know. Discover the best places to live and buy property, by learning all about the latest hot spots on the Costa Rica real estate scene. Not from some agent’s listing, but by hearing from the International Living contacts who have traveled to see these areas firsthand. Get in early on the newest emerging markets. Not by listening to salespeople, but by taking advantage of our market analysts’ extensive experience. Learn what it takes to start up a business. Not from a book, but from expats who have done it themselves…and done it well. Know what documents you need to qualify for residency and Costa Rica’s healthcare system…and where to bank, the best place to buy insurance, buy a car, etc. etc. Hear it straight from the attorneys, professionals, and others who are guiding your fellow expats. Learn how to finance your purchase in Costa Rica, whether from a bank or from your own IRA. Expert—and certified—financial planners and banking specialists will be on hand to show you the way. Get the whole picture, not just the fluff. Taxes, insurance, and visas are not the fun part of being an expat. But you need to know this part of the story before you take your next step in Costa Rica. Our trusted professionals will deliver the information you need. To discover the real Costa Rica, you need to hear from people like yourself—those who have gone before you. At this Fast Track Costa Rica Conference, we’ve invited an unprecedented number of expats who have bought second homes, retired, or started a business in Costa Rica. Just a short time ago, they were in the same position that you are today. Here are just a few of the people who make up our staff for this groundbreaking seminar. Remember: they’re not just presenting their topics. One of the primary seminar benefits is that they’ll be available to spend time one-on-one discussing your own situation. 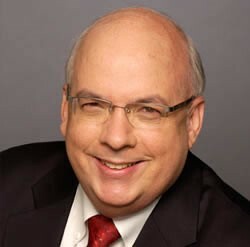 International Living’s Dan Prescher will be your emcee for this conference. As special projects director and media director for International Living, no one is more qualified to talk about living overseas than Dan. He’s traveled all over Latin America researching and writing about everything from deserted beaches to bustling world-class cities where life is good and costs are low. He and his wife, Suzan Haskins, are four-country expats. When it comes to residency, tax law, corporations, trusts, banking, and real estate, there is no better authority in Costa Rica. 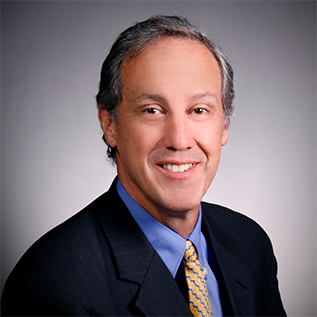 Educated in the U.S., Roger has been practicing law in Costa Rica since 1992. 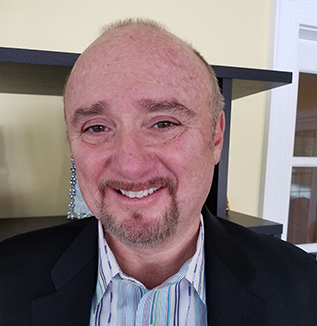 He’ll bring you up to speed with the practical information you need to know if you’re planning to retire, buy a property, or start up business. His firm, Petersen & Philips, is one of the leading law firms in Costa Rica when it comes to expat issues and more. John’s focus is on implementing quality, affordable, and customized health insurance strategies to benefit your individual needs when you decide to live overseas. He is the President and CEO of Expat Global Medical and he’ll help you home in on your best options for private global medical insurance. 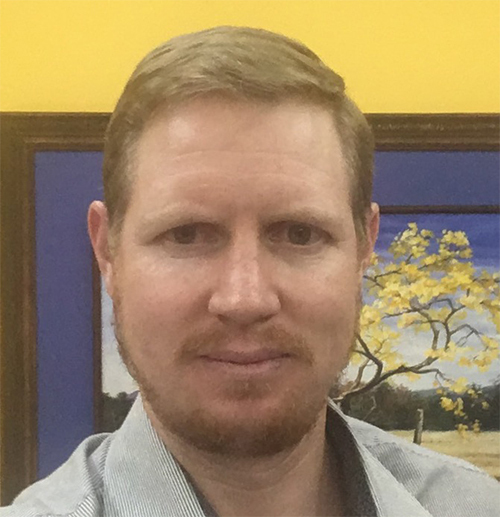 Winton Churchill is founder of the Barefoot Consultant, an international training and consulting company that can help you make a living from anywhere in the world by tapping into your own skills and career experience. "By taking charge of their earning power, the baby boomer generation now has the power and access to put their skills and abilities on the global market regardless of where they live or work now," he says. Note: Winton will offer an optional hands-on workshop on the first day of the Fast Track Costa Rica Conference. Details will be sent in your registration confirmation package. Tim heads the Garrett Insurance Group, which has been present in Costa Rica for more than 30 years, fulfilling the insurance needs of the large expat community. He’ll help you discover all your insurance options when you become a resident of Costa Rica. Born in Ireland, Margaret has spent her most of her adult life living outside her home country. She now resides in the Casco Viejo neighborhood of Panama City, Panama—and from there she travels extensively in her role as Managing Director for Real Estate Trend Alert, International Living’s preferred real estate advertising partner. She’s logged hundreds of thousands of miles traveling in Central and South America, scouting new properties, and new opportunities, off the beaten track. 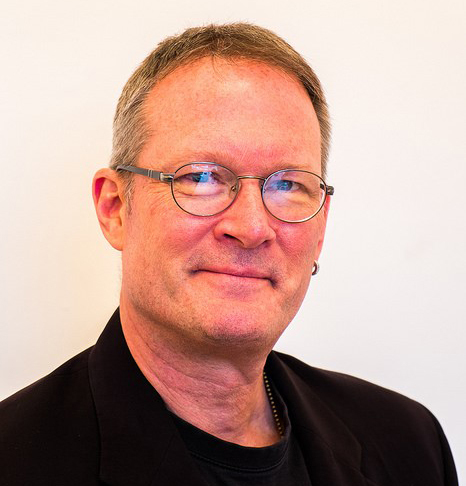 John Michael spent 30 years as a family practitioner in his hometown near Dallas before moving to Costa Rica three years ago with this partner, Michael. They live on a three-and-a-half-acre farm complete with a river in the Orosi Valley. Days are spent tending to the more than 125 fruit trees in the orchard, milking the goats for homemade ice cream and cheeses, gathering eggs from the chickens, ducks, and geese, and tending the gardens and finding creative ways to use the river and land. A native Chicagoan, Kathleen and her husband were tired of the "corporate grind" in the U.S., and began to explore their options with one goal in mind: To find their sunshine and start truly enjoying life. In 2013, they moved to the lively beach town of Tamarindo, Costa Rica on the NW Pacific coast to do just that. 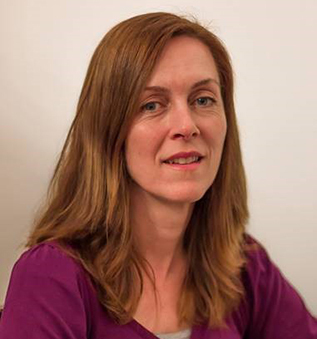 Since moving to Costa Rica, Kathleen has written a novel, hosted a local expat radio show, and is now an International Living Costa Rica correspondent. 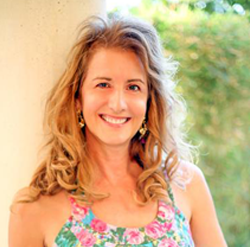 As a writer/editor for International Living for nearly 18 years now, Suzan has traveled extensively in Latin America, searching for the world’s best and most affordable lifestyle opportunities. She has lived in Ecuador, Mexico, Panama, and Nicaragua. (But Costa Rica is dear to Suzan’s heart—she and her husband, Dan Prescher, were married there in 1997.) 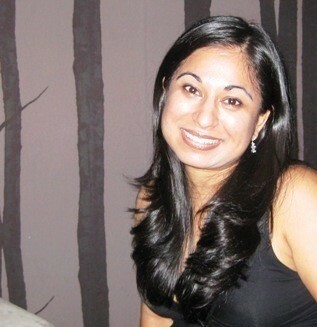 She’ll be on hand to talk about the challenges and rewards of expat life. Jessica Ramesch—International Living’s Panama editor. Jessica lives in Panama and spends much of her time scouring the country and writing articles for International Living readers seeking a new life abroad. She’ll share her firsthand knowledge of Panama that will help you compare and contrast that neighboring country with Costa Rica. Note: Due to unforeseen circumstances, it’s possible the speakers may change. Other experts, however, will take their place covering the same topic. Costa Rica’s neighbor to the south, Panama, is another very popular retirement spot. 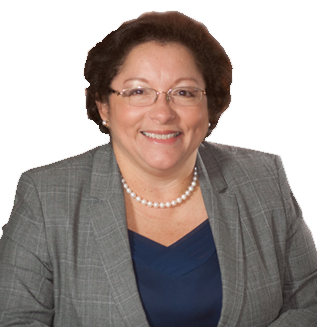 And at the Fast Track Costa Rica Conference, IL Panama editor Jessica Ramesch and Panama attorney Rainelda Mata-Kelly will both be onhand to speak with you one-on-one and offer TWO SPECIAL BONUS SESSIONS ON PANAMA. Our seasoned professional experts will deliver the on-target information you need to get the real picture about living, buying, or starting up a business in Costa Rica. There will be tax experts, real estate professionals, representatives for shipping companies and Spanish schools, even a veterinarian on hand. And many more. We’ll even have a special singles session this year to help those of you considering making this move on your own. And yes, many expats from all over the will be there, too. I’ve already told you some of their stories. They left the U.S. or Canada for a variety of reasons…but for sure to escape high costs and frigid winter temperatures. To a person, they’ve found the American dream alive and well…but in Central America. They’ve retired, started businesses…they volunteer in their communities, and they’ll share the unvarnished truth about life in Costa Rica…the good, bad, and the not-so-good. Believe me, this firsthand information is worth its weight in gold. We’ve got a full schedule planned for you, and yes, we’re mixing business with pleasure. After registration on Wednesday, June 12th, we’ll have two hours of general sessions from approximately 4:00 PM to 6:00 PM with presentations from some of our key experts and staff members. Then, our special welcome cocktail party will take place from 6:00 PM to 7:00 PM, held in the networking and exhibit hall to give you the opportunity to network and chat with the speakers, exhibitors, and your fellow attendees. The networking and exhibit room will open bright and early at 8:30 AM on Thursday, June 13th. General sessions will kick off promptly at 9:00 AM and go until about 5:30 PM…followed by our always-exciting VIP event that evening for Roundtable, Lifetime, RETA, Explorers Club, and World Club members. On Friday, the networking and exhibit room will open at 8:30 AM (it remains open all day) and sessions will run between 9:00 AM and 5:30 PM. You’ll get more information in your confirmation letter and we’ll send you a detailed schedule a week before the event. On Friday evening, we’ll have our Farewell Cocktail Reception, and you’ll be ready to do some firsthand exploring of Costa Rica! 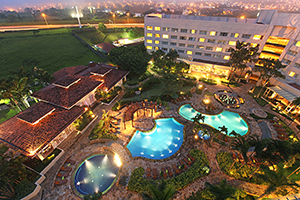 We’ll gather at the Real InterContinental Costa Rica Hotel in San José. It gets great reviews from those who have stayed there. It’s ideally positioned in the heart of popular Escazú, adjacent to the city’s most prestigious shopping mall with 365 stores, bars and restaurants and more. You’ll love the hotel where the conference is being held. It gets deservedly great reviews! This hotel features the hottest concepts in entertainment and dining, including two outdoor pools in landscaped gardens, the largest urban spa in Central America and four unique concept restaurants—there are many more great restaurants in walking distance. We can guarantee you won’t go hungry! We’ve negotiated a special discounted rate of $149 per night for a single or double room. This rate includes a full American buffet breakfast, internet access, and complimentary use of the health club. If you’d like to arrive early or stay longer, the hotel has agreed to honor the rate for three days before and after the event, depending on availability. You will get complete contact information for the hotel (with all related travel information) including our special group code, in your confirmation letter once you register for the event. And if you’re interested in working online or buying an income-earning investment property, we’ll offer an exiting optional workshop on the morning of June 12th. Winton Churchill will show you how to parlay skills you already have into a lucrative online business. You’ll get information about this workshop in your welcome packet via email as soon as you register for the conference. You’ll see all sides of Costa Rica. From luxury living to a comfortable and enjoyable way of life that you can manage on a social security check…from the lush green mountains to the dazzling beaches and everything in between. This conference will bring you up to speed on affordable lifestyles that you didn’t know about before. Think about it. If you gather this information on your own, you’ll spend thousands of dollars, and months of your time. Knock on doors, search the internet, sit in lawyers’ offices, and hang out with real estate agents, it will be impossible to assemble the body of knowledge that we’ve pulled together for this conference. As past Costa Rica conference attendee Joe Cocasclo said, "I enjoyed the fact that most of the presenters were either locals or expats. Their presentations were very informative and all were very approachable and helpful." Another attendee, Robert Scolara, agreed. He said: "It was informative, entertaining, professional yet casual and most importantly - we were not pressured to do anything!" Frankly, this Fast Track Costa Rica Conference is a good investment of time and money for anyone who’s considering making a life there…well worth every penny you’ll pay to attend. Register for the Fast Track Costa Rica: Lifestyle and Opportunity Conference and we’ll send you via e-mail one of the most valuable reports about Costa Rica we’ve ever developed. No matter your budget or lifestyle, you’ll learn how you can live the life of your dreams in Costa Rica. You’ll also learn more about some of the locations we’ve discussed here… San José and the Central Valley, Lake Arenal, Guanacaste, the Caribbean Coast, the southern Costa Ballena, and more. Because before even getting on the plane for Costa Rica, you’ll have studied each of the geographic areas, along with property examples and the different lifestyles you’ll find there. Once you get to the conference, you’ll know exactly where to focus your energies in order to make the most of it and you’ll know which regions interest you, and what they cost. What’s more, you’ll have a pretty good idea of what you’d like to explore after the conference, when the optional real estate tours are available. 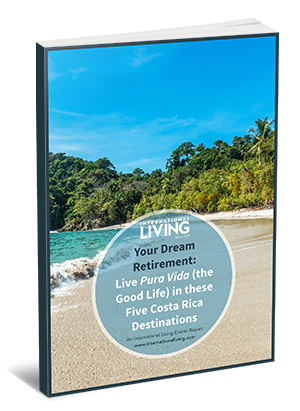 Your Dream Retirement: Live Pura Vida (the Good Life) in these Five Costa Rica Destinations will be rushed to you immediately when you sign up for the conference. That way, you can make the most of it before you head to Costa Rica. This valuable report is only available to Fast Track Costa Rica Conference attendees. It will not be offered for sale. Register For the Fast Track Costa Rica Conference Now—Before the Early Bird Discount Cut-off Date—and SAVE. The full price for this event is $1,195 ($795 for your guest). However, book before May 15 and you’ll be eligible for the Early Bird discount of $200 per person. This means that if you register now, you’ll only pay $995 to attend this event and your guest pays only $595—nearly half off. This is the biggest discount we offer. Register now to take advantage of it. This is a great bargain for two-and-a-half days of information-packed meetings, and access to well-informed and experienced contacts ready to share their firsthand experience. What’s better, you’re probably eligible for a further discount! If you’re not an International Living subscriber or VIP member, and you’d like to become one before the conference, or you’d like to find out more, please call Jillian Revels at 1-866-381-8446 or contact her online at http://intliving.com/contactevents. As always, our colleagues from Real Estate Trend Alert will work with local contacts in Costa Rica who will offer a number of optional property tours after this event. So you’ll not only have the chance to learn about the property market, but also to see it firsthand. We’ll send full details before the conference but be sure to plan on staying in the country for a few extra days before and/or after the conference. For more information, email [email protected]. Digital downloads and video and audio recordings of all conference presentations so you can review at your leisure any time in the future—This is a special extra added value bonus! And of course you’ll get the special report, Your Dream Retirement: Live Pura Vida (the Good Life) in these Five Costa Rica Destinations. Call toll free, 1-866-381-8446 to speak to one of our conference team, who can take your order and answer any questions you have; or contact us online at http://intliving.com/contactevents, and we’ll take it from there. Your best option is to register here now via our secure, online order form. Note: In the confirmation letter we’ll send ASAP once you register, you’ll receive information about hotel reservations and rates, airline codes, information about getting to Costa Rica, and more. Act Now, this conference will sell out quickly. An overwhelming number of International Living readers have expressed an interest in discovering more about Costa Rica. We expect this event will be very popular. We urge you to sign up soon to guarantee yourself a seat. Please take a moment to register now, using our secure online order form. This conference will provide the content to fit your needs. And don’t forget to take advantage of the Early Bird discount that expires on May 15, 2019. That date will come up quickly. After that time, prices will jump $200 for any seats that remain. Remember, this is the biggest discount we offer; making this the best time to register for the conference and SAVE. Make plans now to join us on June 12-14 for an in-depth look at Costa Rica and an experience that may change your life forever. This will be the deepest, broadest, most in-depth look at any country that we’ve ever presented. Don’t leave it until the last minute to get the discounted pricing—seats are already being claimed quickly. Please follow the link to our secure online order form or call 1-866-381-8446 (toll free from the U.S. or Canada) or +1 (410) 622-3040 today, to lock in your place at the conference. P. S. The last several conferences we’ve hosted in Costa Rica have filled up quickly. If you’re interested in discovering more about this scenic welcoming country, and how living there can change your life for the better, please don’t run the risk of being shut out. Register Now using our secure order form. Or call 1-866- 381-8446 (toll free in the U.S. and Canada) or contact us at http://intliving.com/contactevents. 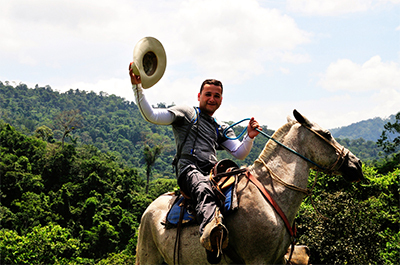 "Appreciated the ability to learn about Costa Rica in depth while vacationing in the country. This is the best possible way to visit any country in my opinion. Not only did I have a great time here but I feel that I really know Costa Rica now." "Schedule was great. All speakers were qualified and helpful." "Very informative; definitely hit all the "hot" topics; Great speakers; nice variety." "Was a lot coming at you fast, but great. I am a professional skeptic. My mind was quickly put at ease because these were genuine people with NO HARD SELL. It left my mind open and not in a defensive mode. GREAT! Again, having been skeptical, I was pleasantly surprised that there was no hard sell, just good, useful information to help people BEGIN the process of making the right decision for them and their life. If you are seriously considering making the move, this is a great first step." "You exceeded my expectations. I felt that I was starting to get a handle on the country, the people, and the culture. Coming to International Living’s Fast Track Costa Rica was one of the best decisions we’ve ever made! We learned more in 3 days than we could have learned in 3 trips to Costa Rica on our own! Off the charts exceeded our expectations!" "Very comprehensive agenda. I am very impressed. A little overwhelmed but nice to know I will have access to it again. I would do this again." "IL helped me get here (to Costa Rica) by offering opportunities that will enhance my life forever." "Excellent, would attend another conference!" "Loved the good, bad and ugly approach; it was very authentic and increased my confidence level." "It was great to hear such a variety of information in one place. The conference opened our eyes to ways of earning an income and the possibility of renting to determine the exact location we would love to live."